Doolin is a family friendly village and you can be sure that children are always welcome and looked after. There are many options in terms of suitable accommodation, places to eat and you can even catch early music sessions in the pubs which are perfect for children to listen or even join in! There are many activities in the area for both young and not-so-young visitors such as pitch & putt, boat trips, nature trails, pet farms, horse carts, surfing, swimming, playgrounds etc. Here are our top picks for a 5 day trip to Doolin for families. Arrive in Doolin, check in to your accommodation and make sure to get all the local information about activities, events or Festivals that are happening within the area while you are visiting! Take a walk down to Doolin Pier and enjoy the panoramic views of the Cliffs of Moher, Aran Islands and Galway Bay. Afterwards, take an evening cruise under the Cliffs of Moher or a family game of Pitch and Putt near the sea. Dine at one of the pubs or restaurants in Doolin. StoneCutters is a particularly family oriented restaurant with a children’s menu, toys and play area. Later, why not listen to one of the traditional music sessions in one of the Bars in Doolin. Generally, children are permitted to stay to listen to the music once they are supervised at all times. 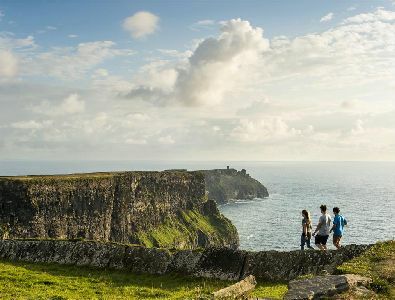 Begin the day by visiting the Cliffs of Moher. You can either go to the visitor centre by car/bus or take a great walk from Doolin with local guide Pat Sweeney. For the younger members of the group, Moher Hill Farm is a great stop to take after the Cliffs of Moher visit or hike. There are play areas, a go-karting racing track and of course lots of animals! Later, visit the Great Stalactite at Doolin Cave, which is one of Europe’s most compelling cave attractions and take a walk around the Farmland Nature Trail. Round off your eventful day with some gift shopping in one of the local gift shops and don’t forget to call in to the Doolin Chocolate Shop in Fisher Street for some delicious treats! Stonecutters Kitchen is a family run, bistro style, mid-price range, restaurant set in a 100 year old traditionally built stone cottage. 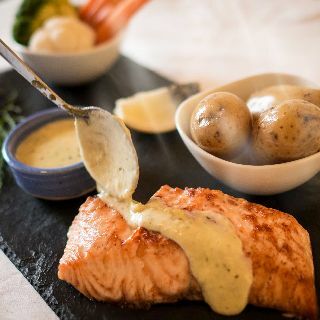 It offers a warm welcome to the whole family from friendly local staff, outside seating with views of the Wild Atlantic Way and Winners of Georgina Campbell Family Restaurant of the Year 2016. The Restaurant is child friendly with not only providing an outside play area alongside outside seating but also offering a unique kids loyalty scheme “Skids for Kids”, where children can redeem tokens for toys. 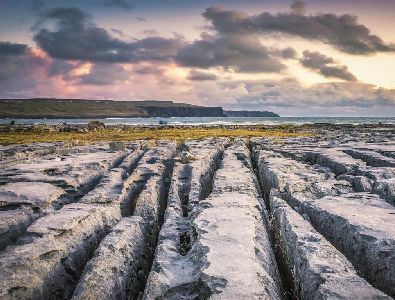 The Burren National Geopark is an area of outstanding natural beauty and heritage with special types of species of flora, fauna and rock formations. 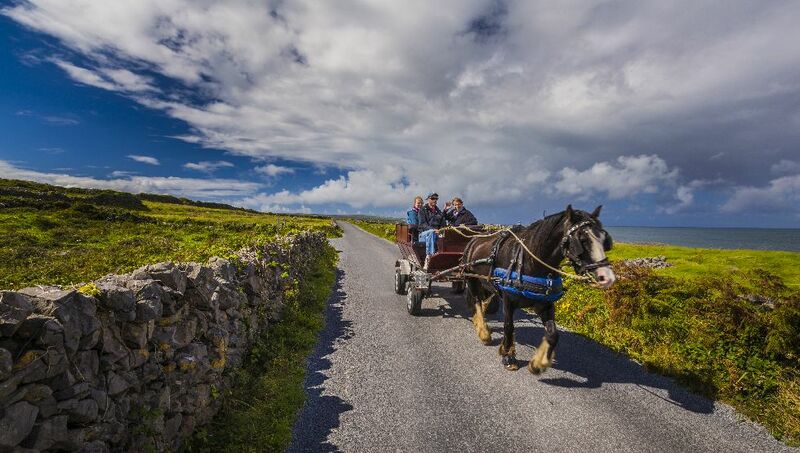 Take the family on an unforgettable drive through the Burren or organise a guided or unguided walking, cycling or heritage trail to take in many of the historic and natural sights. 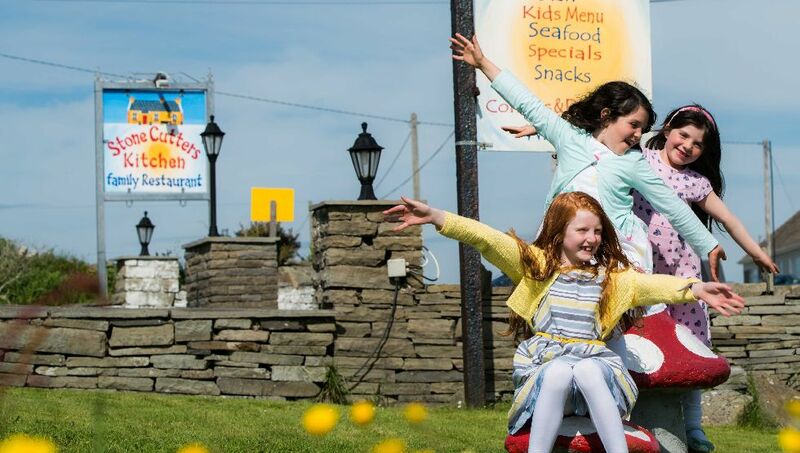 The Burren Food Trail highlights the great dining and interesting options for Families such as having homemade ice cream at the Linnalla Café in New Quay or Hazel Mountain chocolate factory and shop at the foothills of the Burren. After lunch pay a visit to Aillwee Cave and Bird of Prey Centre. Later in the day, take a family horse ride through the heart of the Burren with the Mountain View Horse Riding Centre. You can stop along the trek and have a snack as they are happy to provide a packed lunch if required. 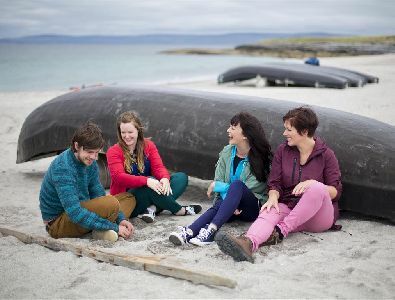 The Aran Islands are a set of three Islands which are located three miles off the coast of Doolin and are rich in our national language, culture, heritage and geology. The Islands offer great peace and tranquillity, meandering walls, patchwork fields, quiet beaches and a welcoming island people. 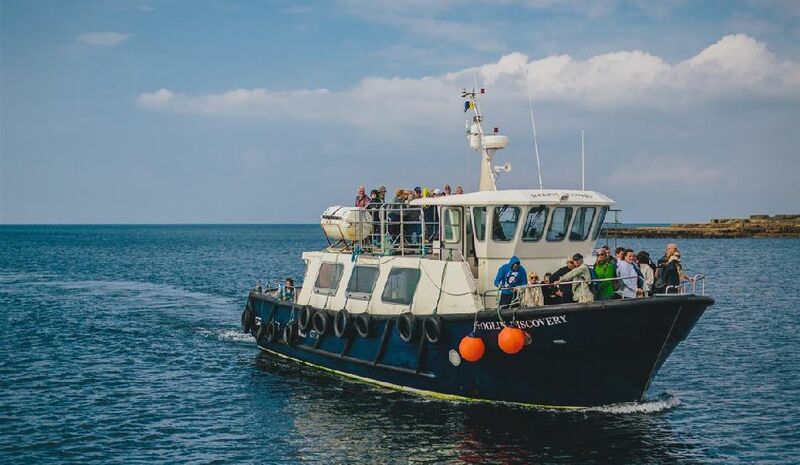 There are two Ferry Companies operating out of Doolin Pier who offer daily sailings to the Islands. Why not take a day trip to one of the Islands where you can hike or hire bikes and cycle or enjoy a tour by horse and carriage! The Aran Islands also have many beautiful beaches for the children to sunbathe, swim and make sandcastles. Have a late lunch or early dinner in one of the restaurants or pubs on the Island before getting the last ferry back to Doolin. 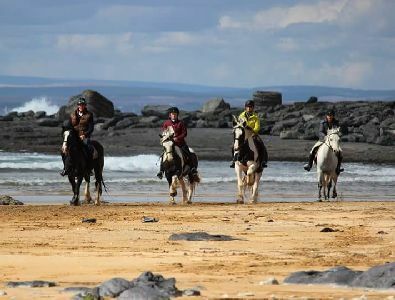 For the more adventurous members of your family, there are lots of options for the final day of your break in Doolin. Why not take a surf lesson at Lahinch beach? There are a number of Surf Schools that cater for beginners and children. Or how about an archery or rock climbing lesson with Lahinch Adventures? 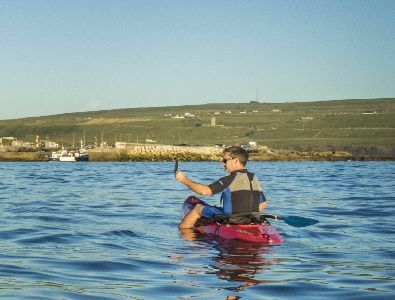 Finally in the afternoon, finish your incredible trip by taking a tour of Doolin’s spectacular coastline with a guided sea kayaking tour with the North Clare Kayaking company.